The underrated House of Love is rereleasing their debut album in a loaded 3-disc set on November 26. Crazy that the original album was released way back in 1988. 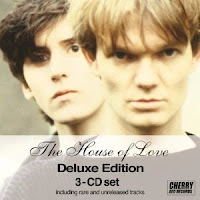 The set is probably worth it for the five different versions of the band's indisputable classic Shine On, but early House of Love is the best House of Love. Can't wait.